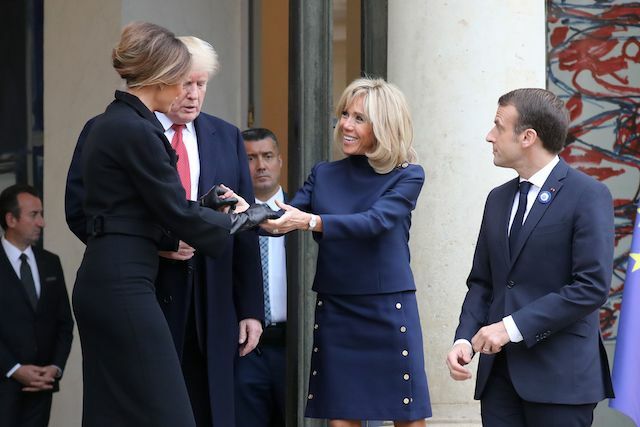 Melania Trump turned heads in a gorgeous black belted dress at the Elysee Palace in Paris Saturday when she met with Brigitte Macron, the wife of French President Emmanuel Macron. 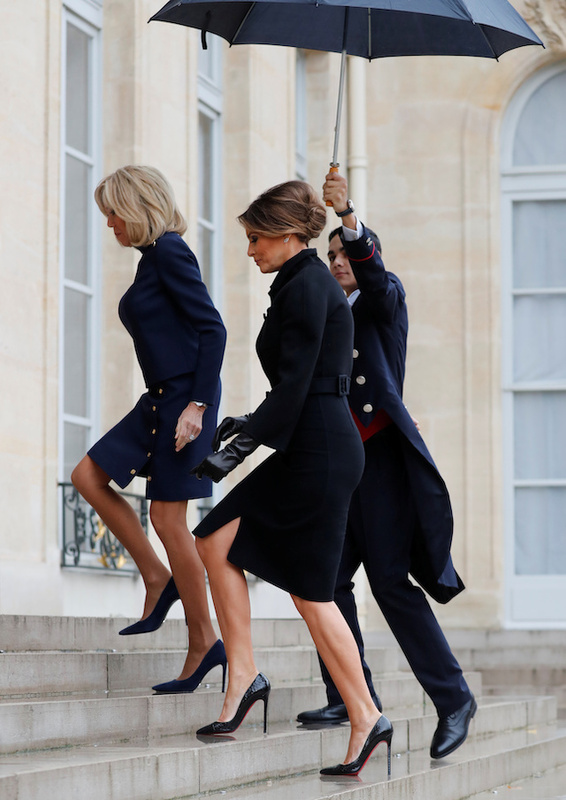 Trump completed the chic look with her hair pulled back into an updo, and wore black gloves and black snakeskin high heels. 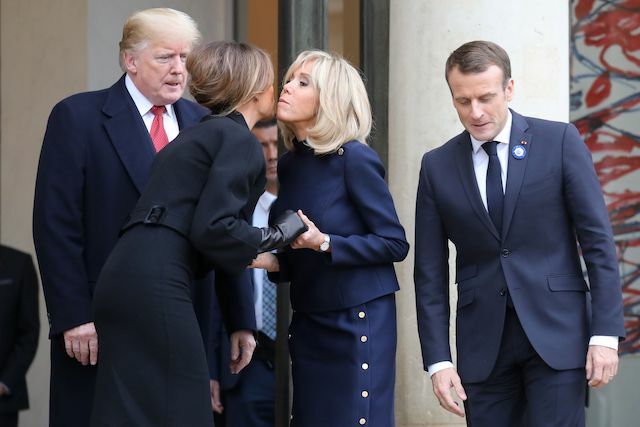 Judging by the photos, the rain didn’t put a damper on the visit, as the first ladies greeted each other with a kiss on each cheek. 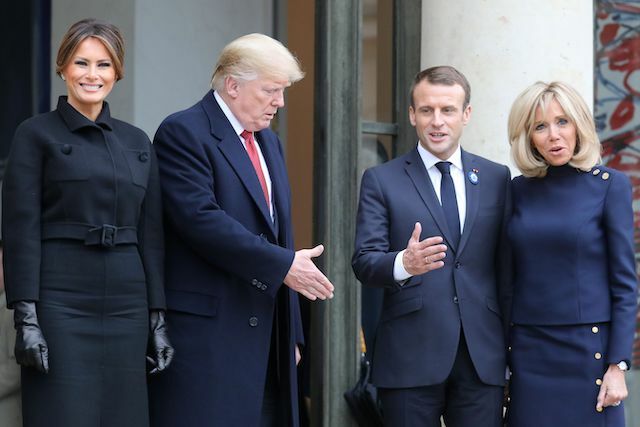 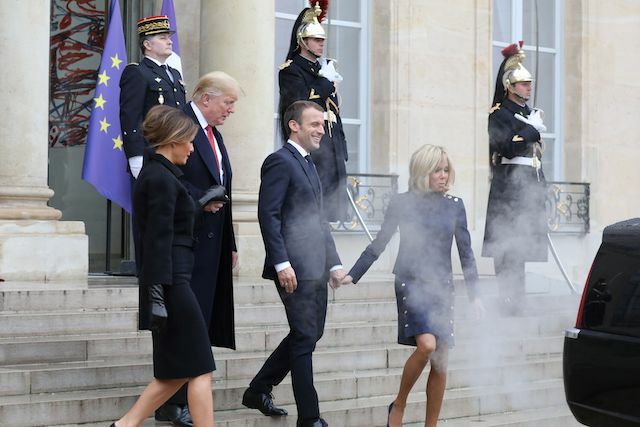 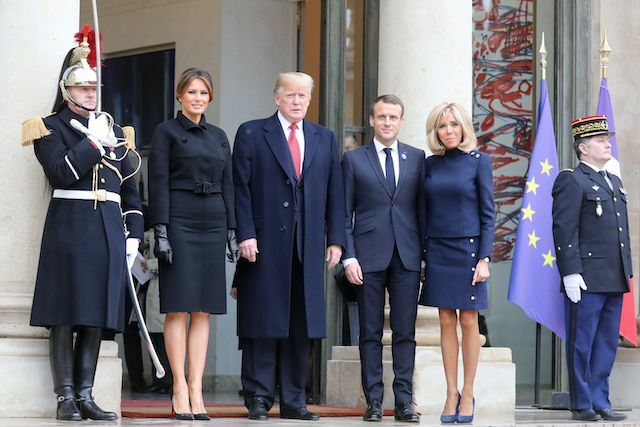 The first lady and President Donald Trump met with the French leaders on the eve of the commemoration ceremony for Armistice Day, which marks 100 years after the end of the World War I.